SEBASTIAN, Florida - April 25, 2019 (Investorideas.com Newswire) LogicMark, LLC, a wholly owned subsidiary of NXT-ID, Inc. (NASDAQ: NXTD), today announced that Notifi911, the company's newest Mobile Emergency Response pendant, is now available on BestBuy.com. Philadelphia, PA - April 24, 2019 (Investorideas.com Newswire) VSBLTY Groupe Technologies Corp. (the "Company" or "VSBLTY") (CSE: VSBY) (Frankfurt: 5VS) is pleased to announce the launch of its new, upgraded website (vsblty.net) that demonstrates "The Intersection of Marketing & Security." Point Roberts, WA and Delta, BC - April 23, 2019 (Investorideas.com Newswire) Investorideas.com, a leading investor news resource covering technology and healthcare stocks releases a snapshot looking at how the growing global aging population is inciting the health-tech industry to create innovative solutions to address growing concerns affecting this demographic, whether through hearing aids, oral aids or CBD oil. SAN DIEGO, CA - April 23, 2019 (Investorideas.com Newswire) Gopher Protocol Inc. (OTCQB: GOPH) ("Gopher", or "the Company"), a company specializing in the development of Internet of Things (IoT) and Artificial Intelligence (AI) enabled networking and tracking technologies, including its GopherInsight™ global mesh network technology platform for both mobile and fixed solutions, today announced it has received an International Search Report and Written Opinion (the "Opinion") pertaining to its Gopher Radio Token application from the International Searching Authority under the Patent Cooperation Treaty. Point Roberts, WA and Delta, BC - April 23, 2019 (Investorideas.com Newswire) Investorideas.com, a leading investor news resource covering hemp and cannabis stocks releases a snapshot focusing on how more and more companies in the CBD and wellness space are heavily focused on their infused beverage program and how recent larger distribution deals are bringing in larger financial interests. Thunder Bay, Ontario - April 25, 2019 (Newsfile Corp.) (Investorideas.com Newswire) Graphene Solutions Ltd. (TSXV: ZEN) ("ZEN" or the "Company") is pleased to announce that it has commenced work on the environmental baseline studies to support the development of the Albany Graphite Project (the "Project"). Vancouver, British Columbia - April 25, 2019 (Newsfile Corp.) (Investorideas.com Newswire) Ivanhoe Mines (TSX: IVN) (OTCQX: IVPAF) announced today that it has entered into an agreement for mutual technical support and collaboration with privately-held High Power Exploration (HPX), a subsidiary of I-Pulse, the world's preeminent high-pulsed power company. 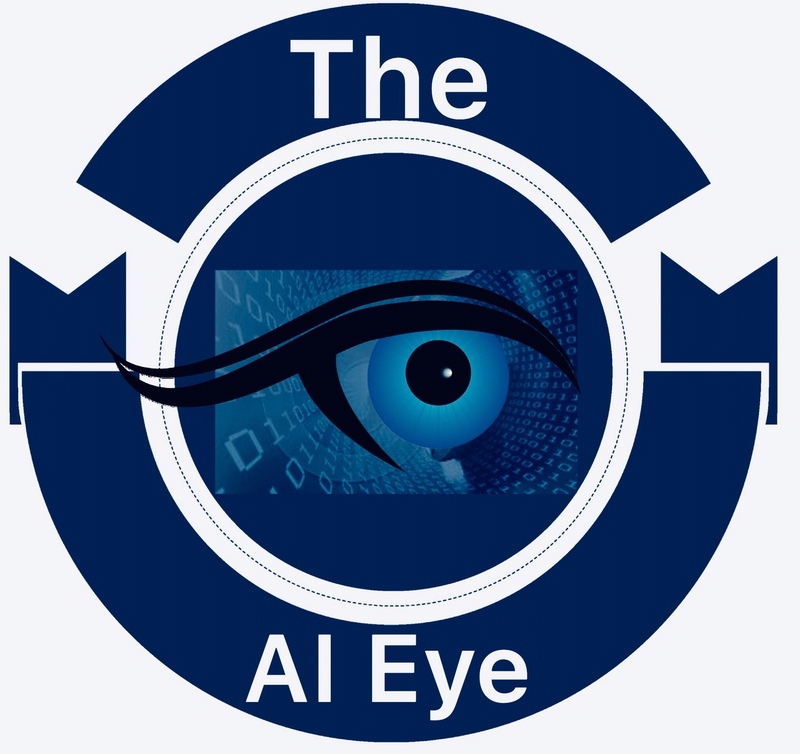 Point Roberts, WA and Vancouver, BC - April 25, 2019 (Investorideas.com Newswire) Investorideas.com, a global investor news source covering Artificial Intelligence (AI) brings you today's edition of The AI Eye, watching stock news, deal tracker and advancements in artificial intelligence. VANCOUVER - April 25, 2019 (Investorideas.com Newswire) Namaste Technologies Inc. ("Namaste" or the "Company") (TSXV: N) (FRANKFURT: M5BQ) (OTCMKTS: NXTTF) is pleased to provide the following corporate update with respect to an appointment to its Board of Directors, Corporate Strategy, and operational updates and web property improvements. 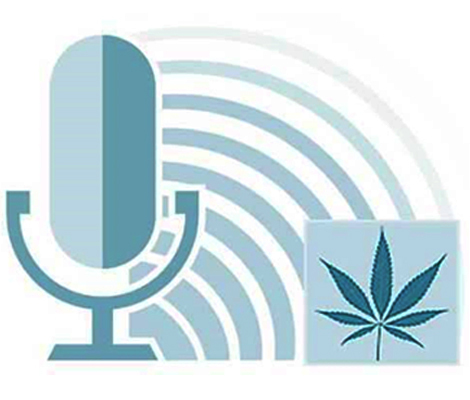 Delta, Kelowna, BC - April 25, 2019 (Investorideas.com Newswire) www.Investorideas.com, a global news source covering leading sectors including marijuana and hemp stocks and its potcast site, www.potcasts.ca release today's edition of Investorideas.com potcastsCM - cannabis news and stocks to watch plus insight from thought leaders and experts. 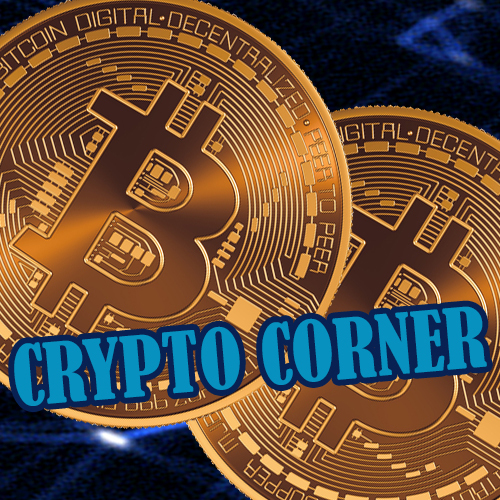 Point Roberts, WA and Delta, BC - April 25, 2019 (Investorideas.com Newswire) Investorideas.com, a leader in crypto and blockchain investing news, in partnership with Fit Pay, Inc.'s (subsidiary of NXT-ID (NASDAQ: NXTD) crypto payment tech, Flip and the Genesis Exchange and Wallet App bring you today's edition of the Crypto Corner podcast and commentary on what's driving the cryptocurrency market. April 25, 2019 (Investorideas.com Newswire) Last month, Trump said that he considered Herman Cain and Stephen Moore as his picks to the Federal Reserve Board. April 25, 2019 (Investorideas.com Newswire) 2018 was a terrible year for commodities, but few sectors fared as badly as lithium. April 25, 2019 (Investorideas.com Newswire) The pound is currently looking undervalued - despite the Brexit chaos - and can be expected to appreciate, forecasts the CEO of one of the world's largest independent financial advisory organizations. NEW YORK - April 25, 2019 (Investorideas.com Newswire) After a sharp decline in the stock market in the fourth quarter of 2018, stocks surged in the first quarter of 2019. PALO ALTO, Calif. - April 25, 2019 (Investorideas.com Newswire) Tesla has released its financial results for the first quarter of 2019 by posting the current Update Letter on its Investor Relations website. KELOWNA, BC - April 25, 2019 (Investorideas.com Newswire) Valens GroWorks Corp. (CSE: VGW) (OTC: VGWCF) (the "Company" or "Valens"), a multi-licensed, vertically integrated provider of cannabis products and services focused on various proprietary extraction methodologies, distillation, cannabinoid isolation and purification, as well as associated quality testing is pleased to report its financial results for the first quarter of fiscal 2019. HOUSTON - April 25, 2019 (Investorideas.com Newswire) Trillium, one of the nation's leading providers of alternative fuels systems and renewable fuels and member of the Love's Family of Companies, today announced PowerUP by Trillium, a program designed to serve electric vehicle (EV) fleets with safe, reliable, predictable and cost-effective electricity pricing for EV charging. Philadelphia, PA - April 25, 2019 (Investorideas.com Newswire) VSBLTY Groupe Technologies Corp. (the "Company" or "VSBLTY") (CSE: VSBY) (Frankfurt: 5VS) will be a sponsor of the much anticipated 2019 Retail and Consumer Goods Analytics Study that is due for release this week. SEBASTIAN, Florida - April 25, 2019 (Investorideas.com Newswire) LogicMark, LLC, a wholly owned subsidiary of NXT-ID, Inc. (NASDAQ: NXTD), today announced that Notifi911, the company’s newest Mobile Emergency Response pendant, is now available on BestBuy.com. Vancouver, British Columbia - April 24, 2019 (Newsfile Corp.) (Investorideas.com Newswire) Provenance Gold Corp. (CSE: PAU) (FSE: 3PG) ("Provenance", or the "Company") is pleased to announce it has added an additional twenty-nine (29) new claims to its Silver Bow, Nevada property to cover extensions of the property's gold and silver systems. Vancouver, British Columbia - April 24, 2019 (Newsfile Corp.) (Investorideas.com Newswire) Go Cobalt Mining Corp. (CSE: GOCO) ("Go Cobalt" and/or the "Company") is pleased to update regarding a data compilation on the optioned Barachois Project ("Property") in Quebec, Canada. VANCOUVER, British Columbia - April 24, 2019 (Investorideas.com Newswire) Lifestyle Delivery Systems Inc. (CSE: LDS), (OTCQX: LDSYF), (Frankfurt: LD6, WKN: A14XHT) ("LDS" or the "Company") is proud to announce that the Highway 395 Dispensary project has received approval for its construction plans from the San Bernardino County Fire Department. Mississauga, Ontario - April 24, 2019 (Newsfile Corp.) (Investorideas.com Newswire) Bee Vectoring Technologies International Inc. (TSXV: BEE) (OTCQB: BEVVF) ("BVT") announced today that the first season of the pilot launch into the Florida strawberry market has concluded with expanding commercial sales of its proprietary bee-based technology used for increased plant health and crop yields. North Vancouver, British Columbia - April 24, 2019 (Newsfile Corp.) (Investorideas.com Newswire) Lion One Metals Limited (TSXV: LIO) (OTCQX: LOMLF) (ASX: LLO) ("Lion One" or the "Company") is pleased to announce that drilling has commenced on its 100% owned and fully permitted Tuvatu gold project located on the island of Viti Levu in Fiji. Vancouver, British Columbia - April 24, 2019 (Newsfile Corp.) (Investorideas.com Newswire) Bayhorse Silver Inc. (TSXV: BHS) (the "Company" or "Bayhorse") announces that it has entered into an agreement with GeoTech Ltd, (GeoTech) to conduct a helicopter-borne VTEM survey on the Company's newly acquired Brandywine, precious metals rich, volcanogenic massive sulphide project, British Columbia, Canada. Vancouver, British Columbia - April 24, 2019 (Newsfile Corp.) (Investorideas.com Newswire) Asterion Cannabis Inc. ("Asterion" or the "Company"), announces that, further to its news release dated February 4, 2019, the Company's wholly-owned Australian subsidiary ("Asterion Australia") has entered into a land purchase agreement dated April 16, 2019 (the "Land Purchase Agreement") with Wagners Properties Pty Ltd ("Wagners" or the "Vendor") for the purchase (the "Property Purchase") of approximately 75 hectares (185 acres) of farmland located in South East Queensland, Australia (the "Property"). Hong Kong - April 24, 2019 (Investorideas.com Newswire) GSR, a global leader in algorithmic digital assets trading and market making, has launched its latest product, the Bitcoin Variance Swap. Point Roberts, WA and Vancouver, BC - April 24, 2019 (Investorideas.com Newswire) Investorideas.com, a global investor news source covering Artificial Intelligence (AI) brings you today's edition of The AI Eye, watching stock news, deal tracker and advancements in artificial intelligence. Delta, Kelowna, BC - April 24, 2019 (Investorideas.com Newswire) www.Investorideas.com, a global news source covering leading sectors including marijuana and hemp stocks and its potcast site, www.potcasts.ca release today's edition of Investorideas.com potcastsCM - cannabis news and stocks to watch plus insight from thought leaders and experts. DENVER - April 24, 2019 (Investorideas.com Newswire) Medicine Man Technologies Inc. (OTCQX: MDCL) ("Medicine Man Technologies" or "Company"), a rapidly growing, vertically integrated operator, today announced that it will reschedule its 2018 Year-End Financial Results and Business Update Conference Call to Tuesday, April 30, at 4:15 p.m. ET. Point Roberts, WA and Delta, BC - April 24, 2019 (Investorideas.com Newswire) Investorideas.com, a leader in crypto and blockchain investing news, in partnership with Fit Pay, Inc.'s (subsidiary of NXT-ID (NASDAQ: NXTD) crypto payment tech, Flip and the Genesis Exchange and Wallet App bring you today's edition of the Crypto Corner podcast and commentary on what's driving the cryptocurrency market.